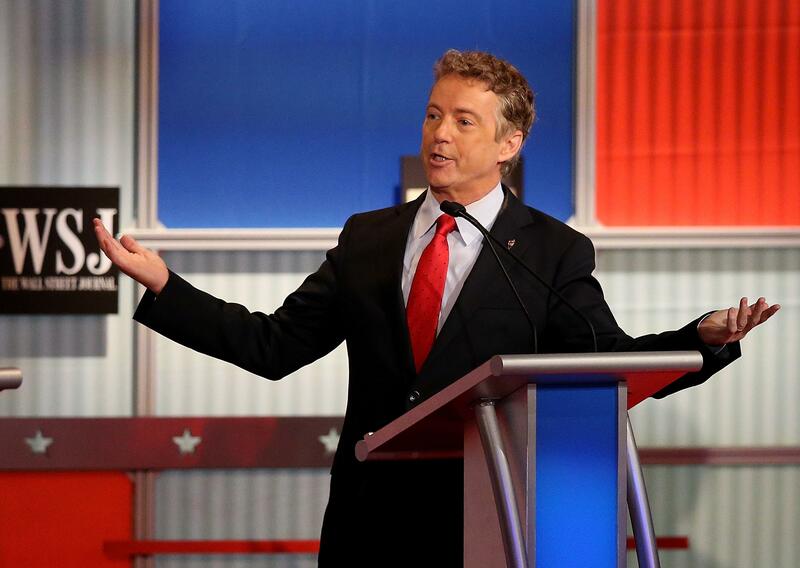 Rand Paul refuses to take second-tier campaign to undercard GOP debate. Fox Business Network announced a new formula Tuesday to determine which Republican candidates will participate in the network’s primetime debate in January and which will be relegated to the warm up act. The new methodology for crunching the poll numbers, which allocates podiums to the top six candidates in national polling and any other candidate registering in the top five in surveys in either Iowa or New Hampshire, looks like it could have one notable casualty: Rand Paul. If the current state of the polls stands, the Kentucky senator would be the latest to be demoted to the kids table debate. On Wednesday, however, Paul said he’s not taking a potential demotion lying down. It is true enough that being declared a second-tier candidate two weeks before the Iowa caucus isn’t exactly a sign of a campaign on the rise. The question facing Paul is whether his debate demotion will knock him from the race altogether. Despite some national mojo at the launch of his campaign, Paul’s support has never materialized in a race that has gotten more bombastic and more foreign policy-focused by the day. Neither suits the senator’s style or substance with dovish foreign policy views that don’t jibe with the current tenor of GOP voters’ beliefs.